Image: Matt Winkelmeyer/Getty Images, Studio-Pro/Getty Images. Design: Kenzie Mastroe/SheKnows. We first fell in love with him when he graced our television screens as teen heartthrob A.C. Slater. 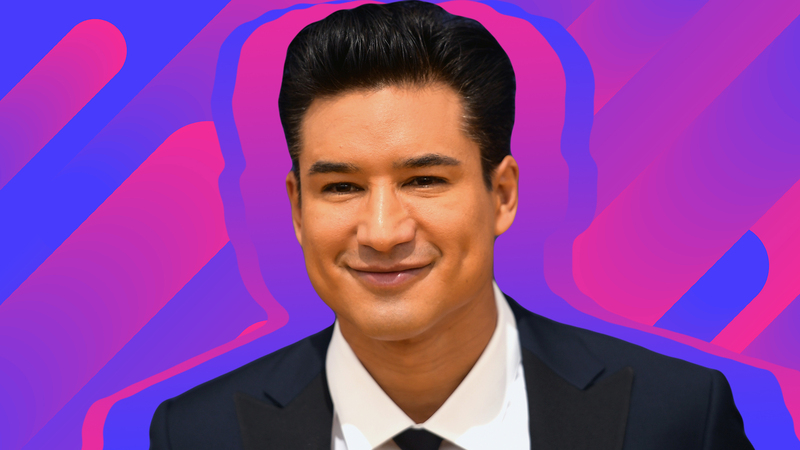 Now, Mario Lopez is up to a whole lot more than roaming the halls of Bayside High School (although his kids are now big fans of the show). Lopez is cohost of the entertainment show Extra, a New York Times best-selling author and dad to son Dominic and daughter Gia. We recently chatted with Lopez and he let us know all about how his family spends the holidays, and yes — we even talked about a Saved by the Bell reboot. SheKnows: We are kind of obsessed with all the adorable videos you post of your kids on Instagram, and my personal favorite is the recent one you posted of them both sitting at the piano singing “Santa Claus Is Coming to Town.” How are you guys getting ready for the holidays in your house? Mario Lopez: We really do a strong countdown to Christmas. As soon as Thanksgiving is over, bam! The tree is up and we’re in full spirit. Yeah, they’ve been singing. I think they’ll be doing “Feliz Navidad” next — they may be dropping a kids album. Who knows? SK: Do you guys participate in Elf on the Shelf? SK: What’s your most creative or favorite Elf on the Shelf position? ML: My wife is pretty good with it. He’s been in cereal, lying in different positions with the dog. They’re pretty elaborate. SK: What are some of your favorite holiday traditions that you and your family do each year? ML: We go to Houston at my sister’s house for Thanksgiving and then everyone comes to my house for Christmas because it’s nice and sunny here in LA, so we love having the whole family around. SK: Ah, so everybody is coming over to your house soon then? ML: Well, I ruptured my Achilles’ this year. ML: Yeah, so we missed a vacation earlier this year, and we’re gonna use those tickets to go to Mexico this year for Christmas and everybody’s going! SK: Big family trip! Glad you’re all going to be able to go. What are some of your favorite things to cook during the winter months? ML: I love hearty food, you know, and you don’t feel guilty eating that kind of stuff when it gets cooler… We’re big foodies at the house, and that’s why I’m partnering with Undeniably Dairy too, because we are all about lots of butter, milk and cheese! SK: Totally. So speaking of your partnership with Undeniably Dairy, they recently released a survey that found 7 out of 10 Americans think it’s important to get to know the farmers who make the food they eat. Do you practice this farm-to-table-style eating at home with your kids? ML: Yeah, I love that! Actually, a good friend visiting from Ohio right now is a farmer out there, and I’ve been out there and it’s so neat to see. I love this partnership and supporting dairy farmers because they’re hardworking Americans, and I love the whole concept of food coming from their family to our family, from their farms to our table. SK: Do you have a favorite holiday cocktail? ML: Oh, I’ve got many! I usually incorporate my tequila. We have tons of different cocktails, and it makes it festive and fun. SK: Nice. Sounds like a good time. What would you say is your signature dish? ML: Probably my bacon-and-cheddar macaroni casserole. My kids love it. It’s perfect to make around the holidays — adults love it, so I’d probably say that. SK: Mmm, sounds like the perfect comfort food. SK: There were a lot of food trends in 2018 — the keto diet, rainbow foods, charcoal foods, kombucha. What 2018 food trends do you think Slater would have been into? ML: I don’t think any of the food trends. I think Slater would be a lot like Mario — he eats everything. I’m not a trend guy, I don’t discriminate when it comes to food. I love everything. SK: Your former costar, Tiffani Thiessen, recently released a new cookbook, Pull Up a Chair. Have you tried any of her recipes? ML: I have, as a matter of fact! I tried one — it was her cream cheese pie. It’s actually her mom’s recipe, so my mom and I tried it, and it was really good! It was tasty, so I’m proud of her. SK: I have to ask because we are such huge Saved by the Bell fans here at SheKnows: Is there any truth to the rumors that a SBTB reboot is in the works? ML: I mean, there’s always rumors, and they’re always talking about it. I’m pretty busy with a full plate… but you never know! SK: Is it something you would want to be a part of? ML: I mean, I have nothing but fond memories, so if everyone else is on board, yeah, why not? SK: Well we are certainly hoping that happens. ML: Thank you. Thank you!